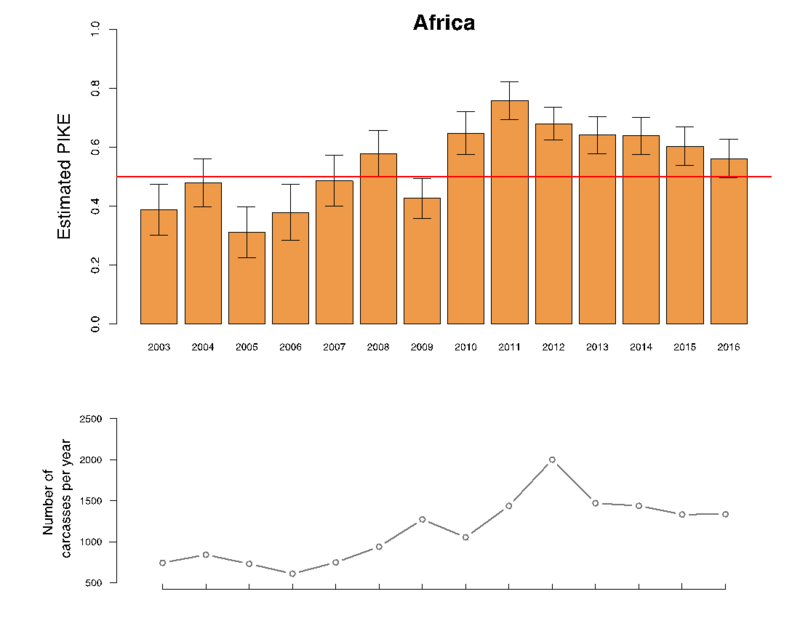 Figures released by the CITES MIKE Program (Monitoring the Illegal Killing of Elephants) on the 2016 trends in the poaching of African elephants show that the steady increase in the levels of illegal killing of elephants witnessed since 2006, and peaking in 2011, has been halted and stabilized but at levels that remain unacceptably high overall. Despite the slight decline continuing to be witnessed, with stabilization recorded since 2011, estimated poaching rates overall remain higher than the normal growth rate of elephant populations, or above the sustainability threshold, meaning the elephant population overall is likely to have continued to decline in 2016. As in 2015, the most positive news comes from Eastern Africa where, in 2016 and for the fifth consecutive year, there has been an improvement, where the number of illegal killings reported is less than the number of natural deaths reported. The situation reported in Eastern Africa in 2016 is now below the levels recorded in that subregion in 2008, with lower levels of poaching recorded in Kenya, including the Tsavo Conservation area. Estimates for savanna populations across the continent have improved in both reliability and coverage and many forest populations in Central Africa have been surveyed for the first time. During Congo’s civil war, which began in the late-1990s, military action against the FDLR focused on populated areas. The FDLR factions that settled in the forests of Virunga were thus left alone to build their empire. 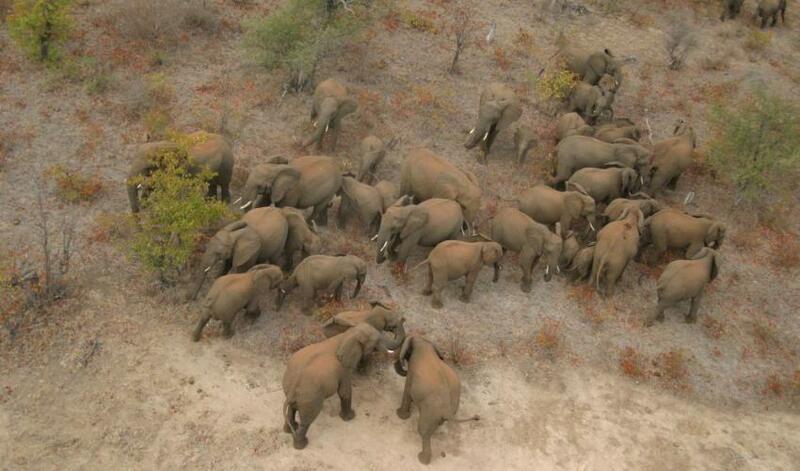 High levels of poaching were again recorded in Central and West Africa. Overall poaching levels in Southern Africa continue to remain below the threshold. Particularly, poaching levels are high in Garamba (Democratic Republic of Congo), Gourma (Mali), Odzala-Koukoua (Republic of Congo) and Niassa (Mozambique). 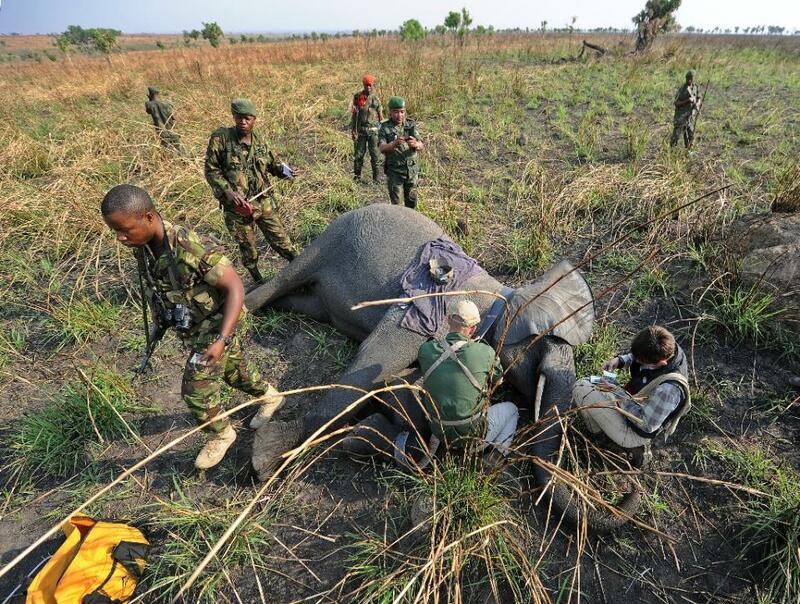 From recent reports in the media, the poaching level has increased in or near Minkèbè National Park (Gabon), but official records have not yet been received from Gabon for 2015 and 2016. “African elephant populations continue to face an immediate threat to their survival from unacceptably high levels of poaching for their ivory, especially in Central and West Africa where high levels of poaching are still evident. 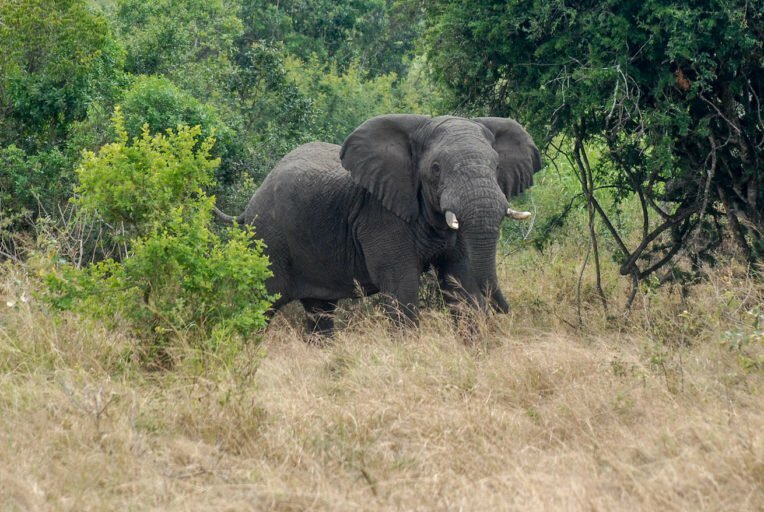 Encouraging signs are however visible in Eastern Africa, in places such as Tsavo in Kenya, where the overall poaching trends have declined to pre-2008 levels. This shows us all what is possible through a sustained and collective front-line effort coupled with strong political support” said John E. Scanlon, CITES Secretary-General. At the 17th meeting of the Conference of the Parties to CITES (CoP17), held in Johannesburg in September/October 2016, the CITES Secretariat was asked to work with its partners in the delivery of activities that focus wildlife crime enforcement support on countries in Central and West Africa.